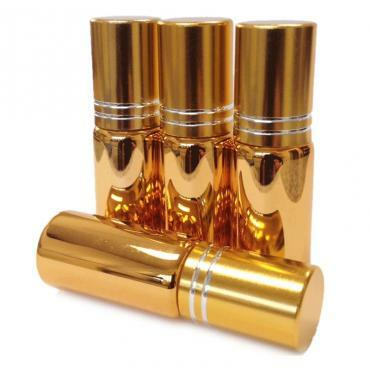 Try our legendary perfume samples - generous 3ml roll ons that allow you to truly wear the scent and make sure you love it before you purchase a full size. The cost is 100% applicable to a future purchase. Scroll down to see all the offerings. Natural Perfume SamplesWe want your to love it before you buy it! Try ..
Natural Perfume SamplesWe want your to love it before you buy it! Try our awesome natural fragrance oil sample sets to find the perfect scent for you with zero risk. And free shipping too!How it works: Select 4 Ajne natural perfumes in 3ml (1/10th oz) glass roll-ons. That's triple the size of most samples. You'll receive a savings code to redeem 100% of the sample cost toward the purchase of any Ajne merchandise of $70 or more within 60 days. Unisex samples are indicated with a "U".The benies: Samples are a risk-free way to discover the best formula to meld perfectly with your unique chemistry. No hassles. No need to risk or return. Large size you can use a number of times to really experience the scent on you.Our free Fragrance Matching Tool: Unsure which to select? Try our Fragrance Matching Tool. It is an fun, informative and accurate computerized tool to help you choose the best scents for your unique body chemistry and scent preferences. Click the link, log in or create ..
We invite you to try our organic skin care samples. Select any 3 org.. Select any 3 body care items in 5ml (1/6th oz) glass jars. Not only .. Select any 3 diffuser oil aroma samples in 3ml (1/10th oz) glass jar.. Select any 3 diffuser oil aroma samples in 3ml (1/10th oz) glass jars. They will arrive with scent strips. Dip the natural fragrance oils onto the strips and let them dry down for 2 minutes before smelling. This will give you an approximation of how the home fragrance oils will smell when diffused. Ok...so it smells way better coming from an aroma diffuser...but you get the idea.If you have an essential oil diffuser, you will receive enough to try it in your diffuser. And as with all of our sample sets, you receive a savings code with the samples that to redeem 100% of the sample cost toward the purchase of any Ajne merchandise of $75 or more within 60 days. This makes the samples free upon redemption. Please note: We offer rock-bottom sample pricing so you can try without risk. We reserve the right to substitute if the same aroma is selected multiple times. Thanks for your cooperation. And please call or email us if you would like suggestions prior to purchasing. C..